Everyday sandwich: For a healthier you. Off-late I am trying out a lot of sandwiches. 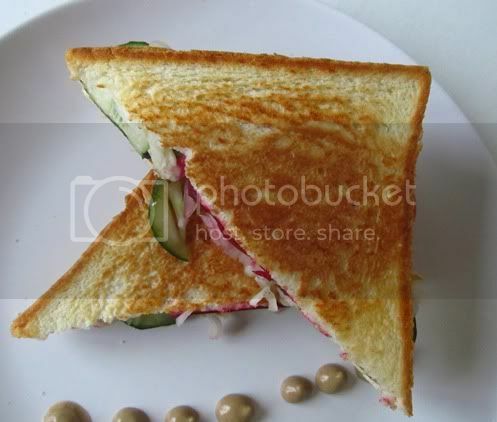 Here is one such sandwich I prepare. 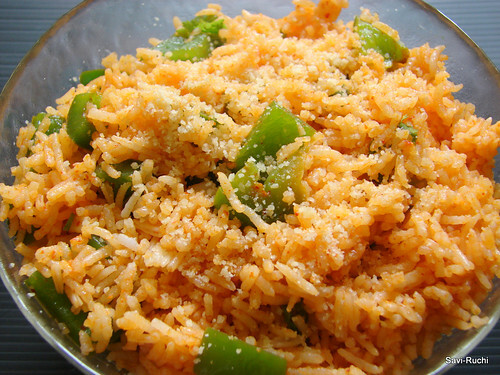 I got this recipe from the Sanjeev Kapoor's Khana Khazana! Made few modifications according to the ingredients what I had handy. 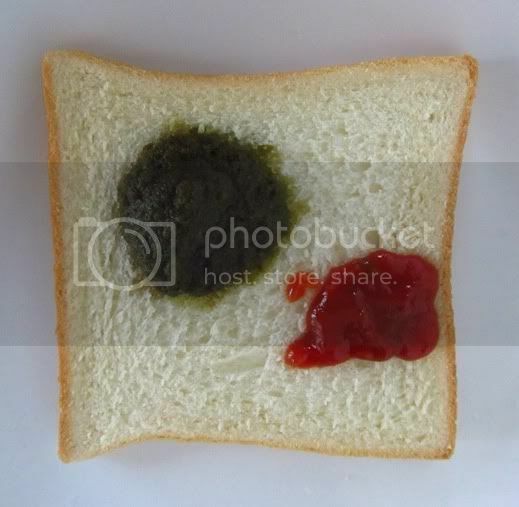 Take a slice of bread, add the green chutney & the tomato ketchup. Spread both of them evenly on the bread. 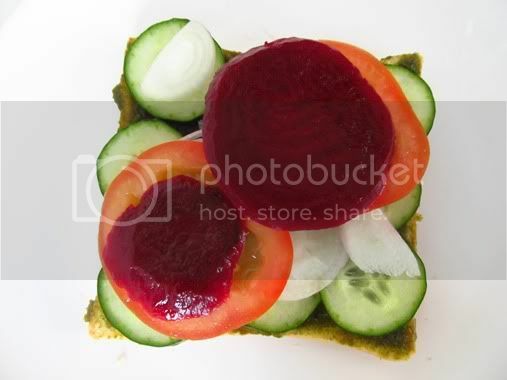 Top it up with the sliced vegetables of your choice. Sprinkle the salt & the pepper over the vegetables. Cover it up with another slice of bread. Add around a tsp of butter to the griddle/tava/tawa or griller. 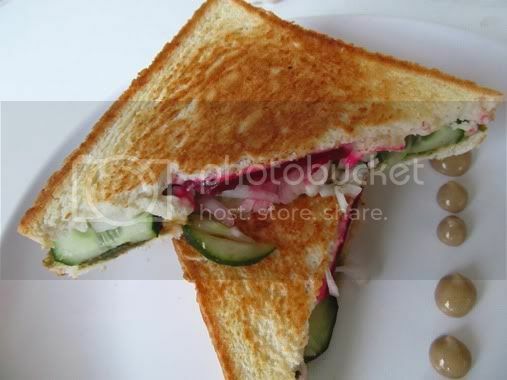 Place the sandwich over the butter & cook it on a medium-low heat on both sides until golden brown. Remove from the griddle. Serve it hot with a dip of your choice. Enjoy! Feel free to use any vegetable of your choice. 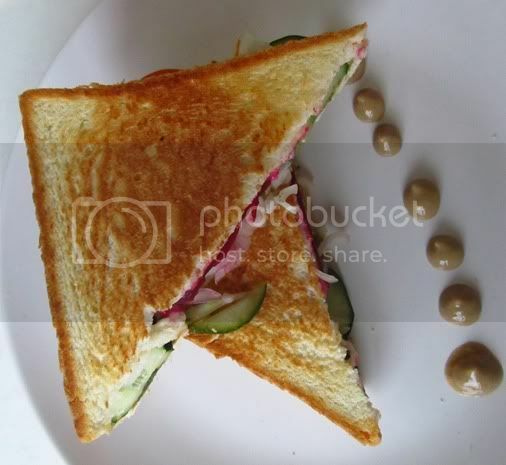 I have added carrots, capsicum, raddish & many more to this basic sandwich recipe. 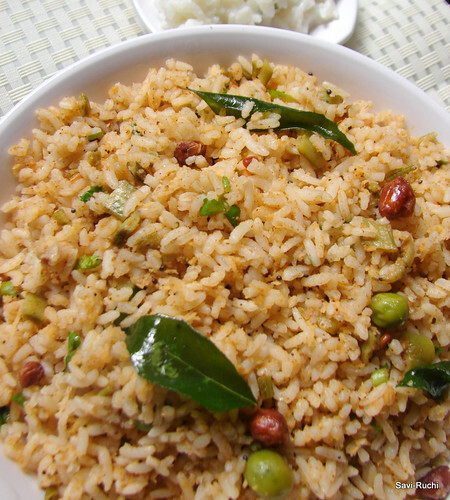 You can find the green chutney recipe here. 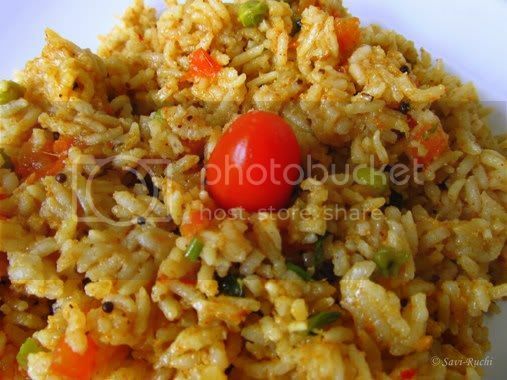 I get requests once a while to put more one pot rice dishes that can be a good tiffin box or lunch item. 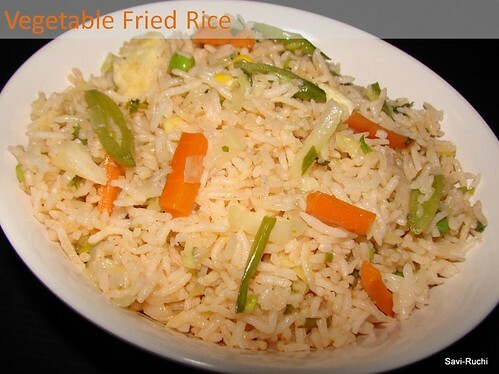 Here are some popular rice recipes at my blog. PS: Guessing time, post is updated. Check it out to find the correct answer!